Welcome! Log in or Request an Account to access your account. 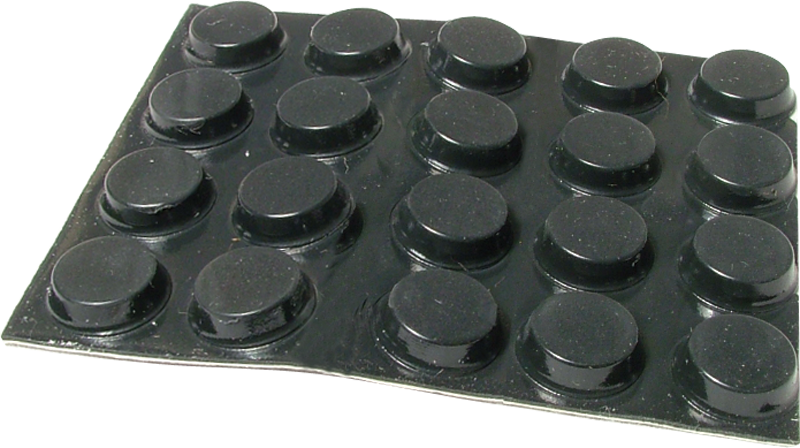 Small tapered rubber feet with self-adhesive backing (package of 20). Can be used to provide grip and slight elevation (about 0.14") when secured to most project enclosures. Great for effects pedals and rack mount units when removed from the rack. You must be logged in to add items to a project list. Packaging Dimensions 1 in. x 1 in. x 0.2 in. Fuse - Slow-Blow, 250V, 3AG, 0.25" x 1.25"
Copyright 2019 CE Distribution. All rights reserved.